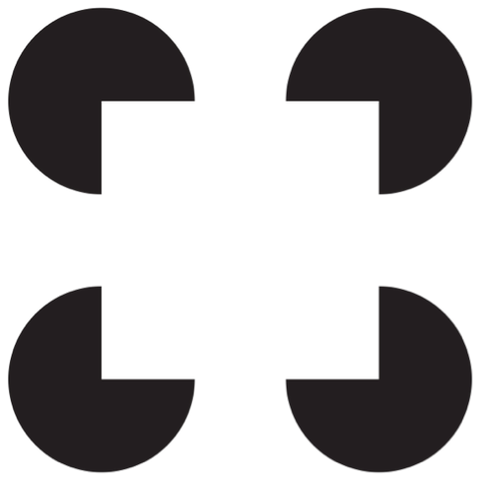 It certainly looks like there is a white square in the center of this figure, but when we study the image, it becomes clear that there are only four partial circles. The square has been imposed by our visual system, whose edge detectors have been fooled. Can we know that the black shapes are more real than the white one? Yes, because the square doesn’t survive our efforts to locate it — its edges literally disappear. A little investigation and we see that its form has been merely implied. What could we say to a skeptic who insisted that the white square is just as real as the three-quarter circles and that its disappearance is nothing more than, as you say, “a relatively rare — and deliberately cultivated — experience”? All we could do is urge him to look more closely. The same is true about the conventional sense of self — the feeling of being a subject inside your head, a locus of consciousness behind your eyes, a thinker in addition to the flow of thoughts. This form of subjectivity does not survive scrutiny. If you really look for what you are calling “I,” this feeling will disappear. In fact, it is easier to experience consciousness without the feeling of self than it is to banish the white square in the above image. Damon Linker has a must-read review of the book here. Waking Up is our latest Book Club selection, introduced here. Buy it here and join the discussion at bookclub@andrewsullivan.com.